We use 'cookies' to ensure that we give you the best experience on our website and if you continue to use this site we will assume that you are happy with this. If you would like to know about 'what a cookie is' and how we look after your data privacy here, follow the 'Learn More' link to read our Privacy Notice. The Planning system is complex, governed by statute and uses extensive additional planning polices or codes, in short it can be a mine field for the unsuspecting. Locally we also have the Broads National Park which further complicates planning in the river areas. Our in-house expert can assist with advice. Often, we commission specialist qualified planning consultant, who we partner to asses in detail the ability to achieve planning consents. We also have partner architectural firms who specialise in all types property & sites. With most applications these days within any area of contentious issues, change of use and variations of the local plan or policies it is necessary to establish the thoughts of the planning officers. This may be helpful, or it may require challenge on specific grounds. We can help to put an application together and post answer analysis. Many buildings require a change of use, as they are either obsolete for purpose or a new use will enable a building to be refurbished with a more valuable use. Some buildings may be life end and not capable of being reused, this will require a demolition order. We can helps provide an application for both. Some planning applications will attract requirements to contribute to the community pot by way of CIL payment or S106 requirements, supporting various local financial infrastructure or sector needs. On large sites or buildings this may be a major financial requirement. There are means to reduce these demands, we have the experience to assist the negotiations. Small & Large residential schemes require significant time and expertise to achieve viable consents we have the experience and hand on skills to assist. 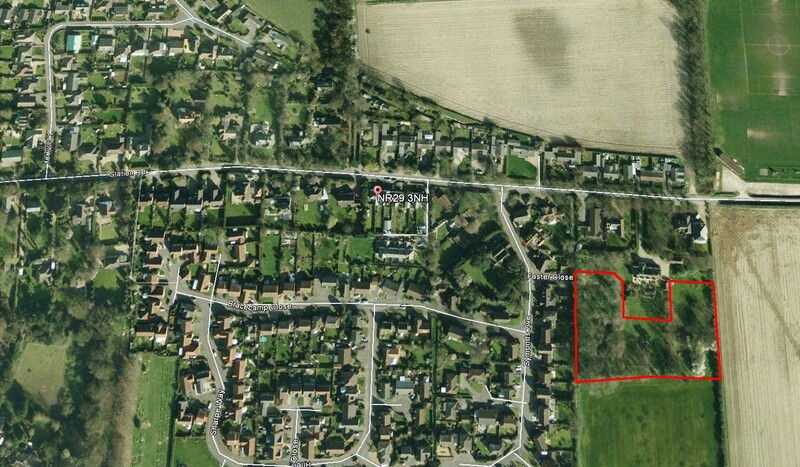 Recently sold, Six Building Plots with outline Planning Permission for detached housing nestling on a mature south sloping site on the East edge of this sought-after village approximately 4 miles from Great Yarmouth.